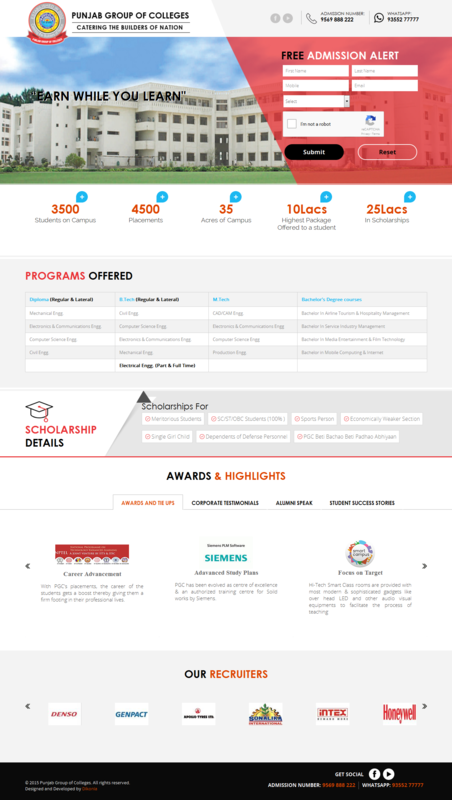 A major project involving the revamp of a university level website was tasked to Dikonia to kick off the New Year ‘16. 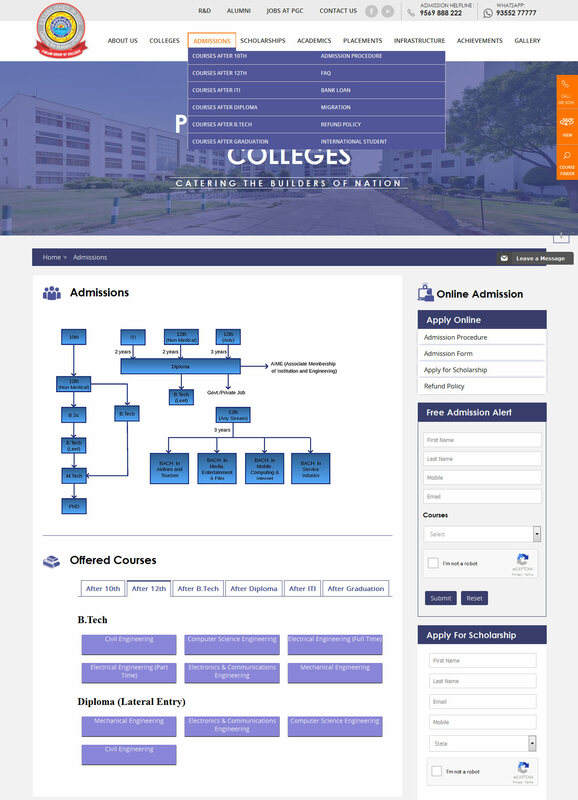 From constructing a functional, intuitive, and easy to use site structure, to developing a design language that could encompass not only the required information but also portray the persona of the institute, revamping of this website was a challenge in many aspects. Website Redesign - From the website that had an out-dated design, a new custom design was built in HTML5 and CSS3 to ensure the design followed latest trends and is responsive to any screen-size. Keeping in mind that the target audience of this institute was connecting to us mostly via the means of small screen devices, provisions were created to ensure smoother, faster, and least data load methods to provide students with necessary information and options. Consistency in navigation and easy to access required. 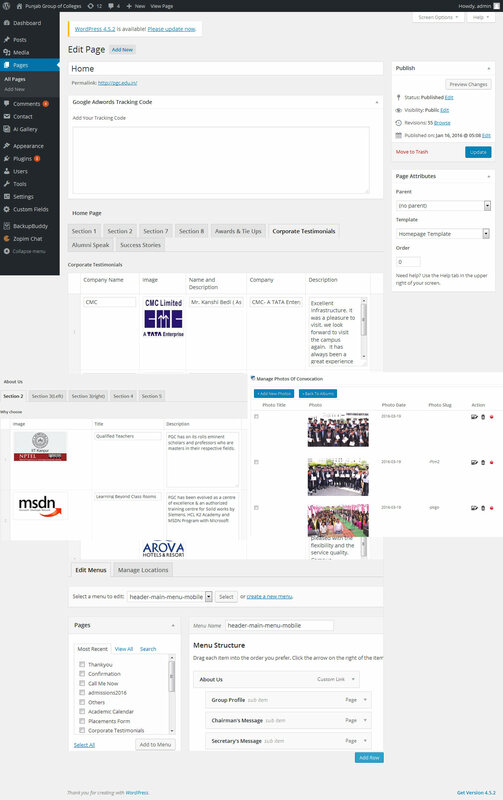 New Site-map & Content Management - This was the one major challenge that came along with this website. Complete sitemap was re-thought and planned to facilitate the users get to the information they are looking for in minimum possible clicks. The information was to be kept unique therefore, carefully categorized and put under various heads ensuring the head names depicted the information they contained. However, it was ensured that the information was accessible from any page. Ease of Access & Strong Call to Action - Along with the site-map and new design, widgets were made part of every page of the website so that the users can get to all the relevant information from any corner of the website. Course finder, take a tour, quick query, Free Admission Alerts are few of the various widgets that were made part of the website to make the information easily accessible for the users. Backend Management - Being one of the websites with 100+ pages, there was an absolute need to develop a very robust and fast responding back-end, keeping in mind there is no hassle for the client to manage the website. WordPress Admin Panel did the job for us and lots of effort was put-in to make all relevant sections lie in the right areas and lots of customization was possible for the Admin.